This one was so much fun. Adults and children would pass by and make conversation with us just because it sparked a feeling with them. Some of nostalgia and some of just pure joy. Its such a simple and inexpensive idea. ($3 at CVS pharmacy on Biscayne Blvd.) 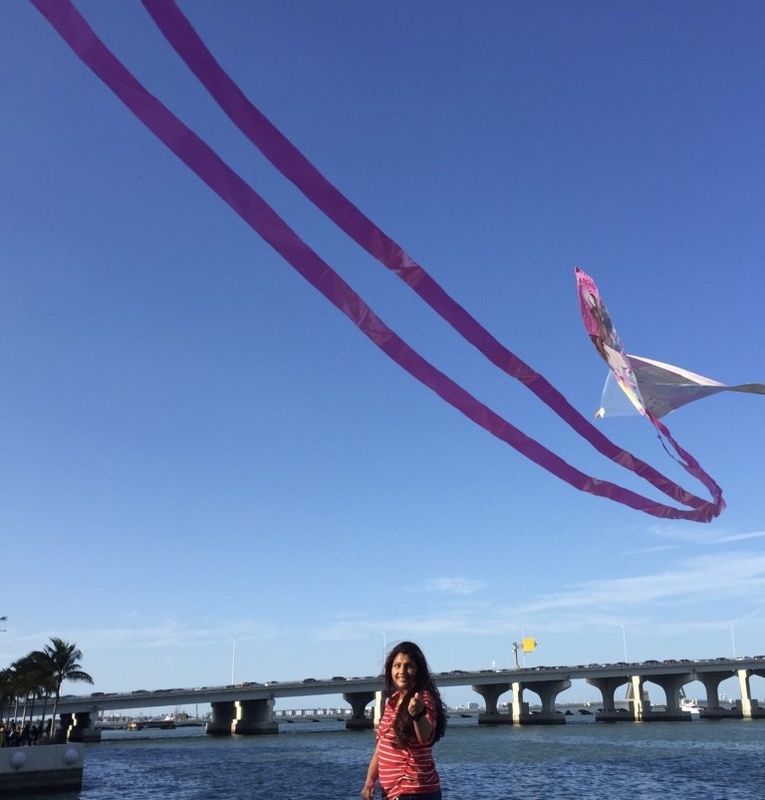 There are many great places to fly a kite in Miami like the famous Haulover Park, The Hill at Tropical Park and of course South Pointe Park. We randomly chose to fly our kites in Museum Park and it turned out beautiful. On Saturdays you can see the cruise ships navigating by making a 360 turn so close to you that you feel like you can touch them. We were even treated a views of a glamorous wedding taking place at the Perez Art Museum’s courtyard. Make some time for this item, it’ll put a smile on your face. This list is on going so stay tuned for more items on the checklist to accomplish. Also, feel free to suggest some in the comments below.